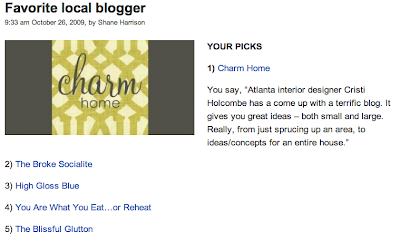 So I’m not quite Atlanta’s favorite local blogger and I’m okay with that. If you get a chance to check out the other winners, you’ll understand why. But to be honest, for me, showing up on the list was pretty funny, shocking, and I loved every second of it. Thank you to those who voted and commented because just by doing that, you’ve already brought more readers to this place.